This will be the most valuable page you ever come across on the internet with regards to Pitching Mechanics. 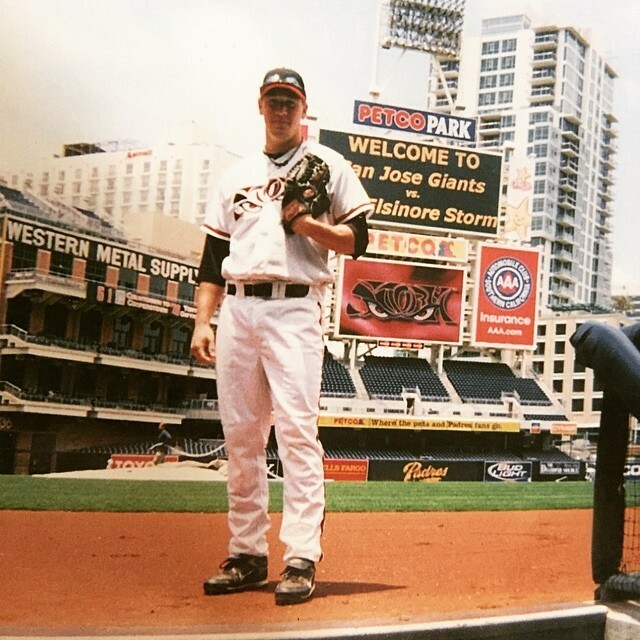 I’m going to share with you what I learned from college and pro baseball and the exact Pitching Delivery I used to throw 96 mph. Sound good to you? Some of you may be thinking, “what’s this $64,672 about?”. Well, from my calculations, that is the amount of money that these pitching mechanics earned me. I went to 4 years of college on a scholarship which I valued at $39,672. I was also drafted in the 8th round and received a signing bonus of $25,000. So, that’s why I call this the $64,672 Pitching Delivery! But that’s not important. What’s most important is what you are about to learn about Pitching Mechanics. 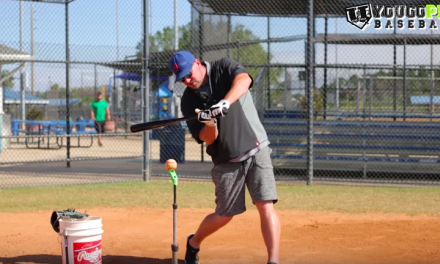 Once you watch these videos, you will never think about pitching mechanics in the same way. I’ve organized these videos in order to make the most sense. I really hope you enjoy and learn something new. I’m going to start off with this video because it is the most in depth of all the videos below. If you can understand these ideas about the pitching mechanics, then you will be years ahead of everyone else. Learning to create energy and transfer that energy efficiently is the most important part of pitching mechanics. Besides staying free from injury. Watch the video for more info. 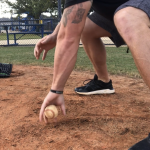 The set up is probably the most important part of the pitching delivery because if you start in the wrong spot, everything that follows in your pitching mechanics can be off. Therefore, it is VERY important to set up in a good position which allows you to let your body work in the most efficient manner. Watch the video to see what I’m talking about. This kind of goes with what I said about the Staggered Set Up. The beginning of the pitching delivery is the most important part of the pitching mechanics. 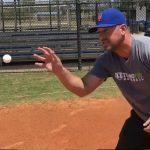 In this video I talk a little about this subject and share some ideas about your pitching mechanics. Because the beginning of the pitching mechanics are the most important, let’s talk a little bit about the lead leg. Because it is the lead leg that moves first in your pitching mechanics. 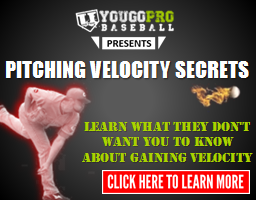 In this video I share with you 3 things to improve pitching mechanics of the lead leg. Watch it now! I thought since we just talked about the lead leg in the video above, that this video about the slide step would fit good right here. 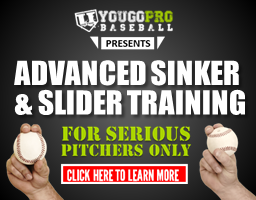 I talk about 3 things to know when using a slide step when pitching. Although not all three have to do with pitching mechanics, there is still some really great information in there about using the slide step. 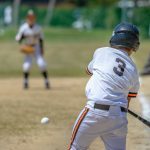 This video talks about the 2 types of energy in baseball and how to leverage, or get the most out of, each of them. This video talks about this energy in both hitting and in pitching. So if you’re only interested in the pitching part then you’ll have to skip to it. 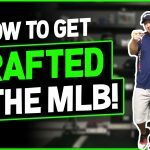 But this video about energy in pitching will be very beneficial to your pitching mechanics and how you progress as a pitcher. So, listen closely! 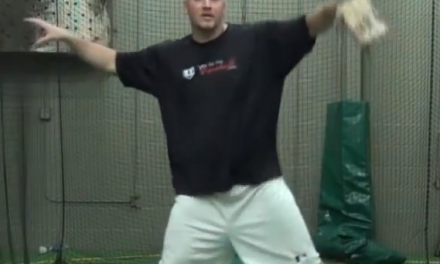 The back leg is a very important part of the pitching mechanics. You really need to have good leg drive in order to get some good linear energy (as you learned above). 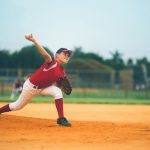 The more energy you can get from this phase of the pitching mechanics, the more energy you will be able to transfer into your rotational phase of the pitching mechanics. What this video to learn more about back leg extension and leg drive. Most issues that occur in the pitching mechanics occur because of a timing issue. 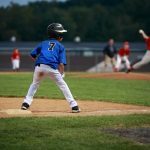 Most pitchers learn the “positions” of the pitching mechanics at a very young age. But how they get to these “positions” matters greatly on timing. 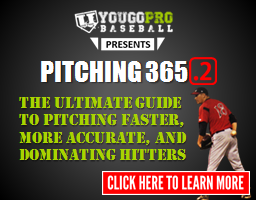 Watch this video where I talk about the importance of Timing in the Pitching Delivery. This may be one of the most mis-taught aspects of the pitching mechanics. 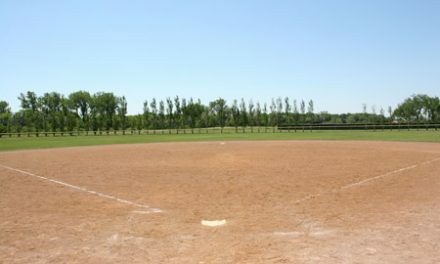 If a pitcher can understand the ideas in this video, they will set themselves up for great success. This arm path promotes maximum rotational energy. It allows for a great scap load. It also puts you in a good spot for some good hip to shoulder separation. If you don’t know what any of that means, watch the video below to get a better idea. 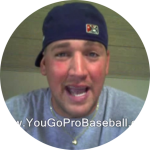 In this video I talk a little bit more about the arms as they relate to pitching mechanics. Specifically, the scap load and inverted W. This video is actually just a short rant about an article I wrote that I highly suggest you read. The article is a little long so if you’re looking for the “short story” just watch this video. 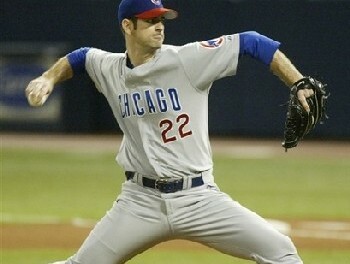 There is no one right arm angle to pitch from. In fact, every arm angle has been proven successful at the highest level of baseball. The problem is, how do we know if our arm angle is going to hurt us. 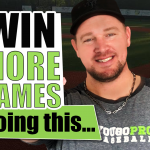 I answer that question in this video and share with you the 1 thing you need to know when it comes to the arm angle within the pitching mechanics. 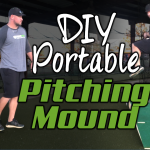 Here’s another video where I debunk a big misconception about pitching mechanics. A lot of the time you’ll hear coaches and parents say to “reach out” as far as you can in front of you for a good release point. In fact, that’s not true at all. 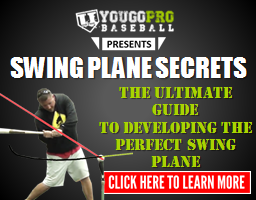 Learn the 2 things that you need to know to determine if you have a good release point or not. Watch the video. In this video I answer a question that I received here on my website about how to fix the follow through. This video examines the 2 necessary elements in order to have a good follow through. If you’re a pitcher who “walks through”, then you are going to want to watch this video about the pitching mechanics. I hope you enjoyed this page on pitching mechanics. More importantly I hope you learned something new. Please leave a comment below and let’s talk about some of these videos. I’d be happy to answer any questions you have. Site looks great…found you 3 years ago my son is now 12 yrs old and one of the best pitchers in our area…and only southpaw. Awesome! Thanks Bob! Thanks for the continued support! I’m so happy your son is dominating out there! What pitches does that lefty throw these days? You are very welcome! I’m glad you liked it! 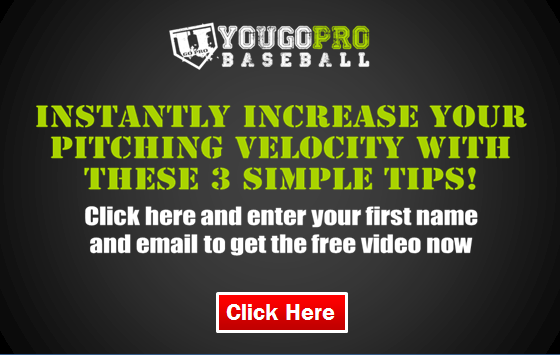 I just signed up for your pitching velocity tips cause I’m trying to pitch faster this season. Outstanding! You’ll get some great stuff being on that newsletter! I promise! John, thanks so much, I’ve been telling my son all these years to reach out as far as possible on his release point. Your perfect release point video made me rethink this. The first time I had him try it out, he looked like a brand new pitcher. Thanks so much, John. Your site and videos are a huge help! Awesome! I’m glad it helped! Yes, that is a huge misconception. I’m just happy I could help. I love those jerseys you have in your room. I want to get some framed as well for my man cave. Thanks so much! I appreciate it! I’m glad you are seeing some results! Let me know if there is anything I can do to help you on your journey. Thanks again! Hi Doug, I think that’s a great idea. One other thing may be too think about one big thing at a time. I find that when one of my kids tries to do too many mechanically things at once that they get all discombobulated. But if we just focus on one thing at a time until they get that down and then move onto the next thing, that usually works a little better at least in my experiences. I hope this helps! Thanks for your comment. John, you like pitching from the stretch all the time. I like that concept as well and I’ve had my kids working just from the stretch this off season. The question came up, do you change/shorten your leg lift when a potential base stealer is on base? Hey Rick, yes I do. I think it eliminates having to be great at 2 different movements and lets you focus on just that one…the stretch. The answer to your question, for me at least, is yes. 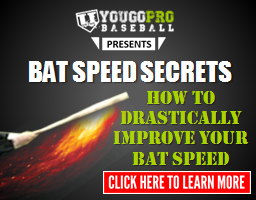 You want to be quicker to the plate. You want to be a 1.3 or below. That’s from your first movement to the time the ball hits the catcher’s glove. I think I made a video about this if you search youtube for “yougopro pitching from the stretch” it may pop up. But yes it should be quicker but still use your legs as much as you can.